Sean Keefer was born in North Carolina and raised on the South Carolina coast. Following high school and then college at The University of South Carolina, he wanted to leave South Carolina. After two years of traveling the US and Canada, he knew he had to get back to the South Carolina coast. Growing up in South Carolina, Sean’s life was molded around the styles, mannerisms, idiosyncrasies, dialects and culture of the South. 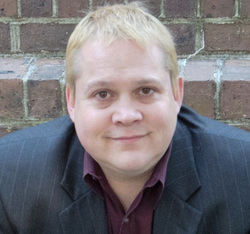 The time Sean spent traveling the Carolinas and the rest of the country, together with his South Carolina roots, give him a vast array of experiences and observations that he draws upon and blends together in his writing. After studying law, Sean settled in Charleston, South Carolina and instantly became enamored with the people and city he chose to call his home. Inspired by a life long love of the written word, one day Sean began writing. A page became a chapter that ultimately became a book known as The Trust. The experience of taking a novel from conceptualization to print has been one of frustration, reward, learning and old fashion hard work. It was an accomplishment just to have finished the novel. Each step from the first words hitting the page to the eve of the publication of The Trust has been a personal reward for Sean. Sean lives with his wife and two Australian Shepherds in Charleston, South Carolina. To attorney Noah Parks, the probate of a will should be a simple task. But the Last Will and Testament of Leonardo Xavier Cross is anything but simple. Though Parks has never heard of Cross, he learns that the Will directs that he provide the legal representation for the estate and as part of his fee he receive the contents of a safety deposit box – a safety deposit box no one knew existed. Intrigued, Parks undertakes the task but after the body count begins to rise the otherwise basic task of probating the will becomes more complicated as each day passes. Despite all of Parks’ skills, the answers he seeks remain elusive and force him to delve deeper into the shocking and deceptive Cross’ family history which sets the stage for an explosive finale that Parks can only hope to survive. 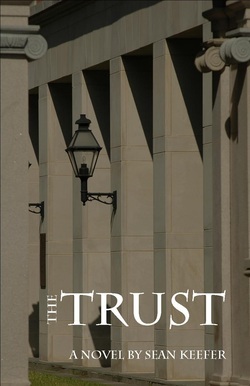 Set in Charleston, South Carolina, The Trust is the debut novel from Sean Keefer. Blending elements of traditional southern literary fiction, suspense and mystery; you won’t be satisfied until the final page is turned.